It’s around this time of year that I start feeling a slight panic in my soul as I realize summer crops are starting to lag and all the nurseries are starting to close up their summer shops. Then I remember that these days I’m a completely indoor gardener! So while everyone else is about to start getting their beds ready for winter, I’m stocking up on seeds and doing a deep clean of my garden area and hydro system. Therefore, today I’m going to talk about something not usually associated in the gardening world with fall… Starting seeds! That’s right, I’ve now had my Tower Garden for a full year and so last weekend I completely took it apart and did a deep clean. I then started some seedlings to get me through the fall and winter and am about to transplant them into the tower. It’s incredibly exciting to think that while everyone else is either switching to winter crops or packing up shop, I’m starting another round. (Though it still feels slightly unnatural) It’s summer somewhere! 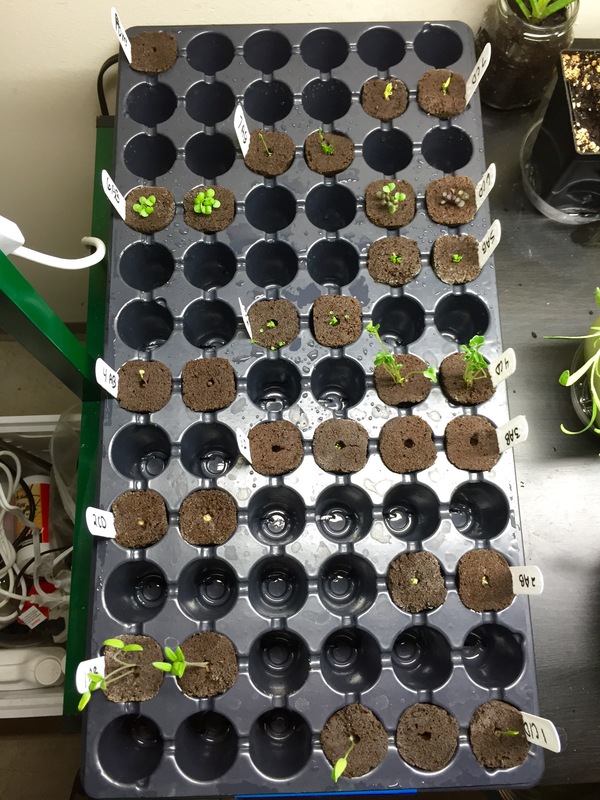 I’ve gone through quite a few seed starting methods but during the first round stages of my hydro experience I landed on a method that has been quite successful for me, as well as easy. 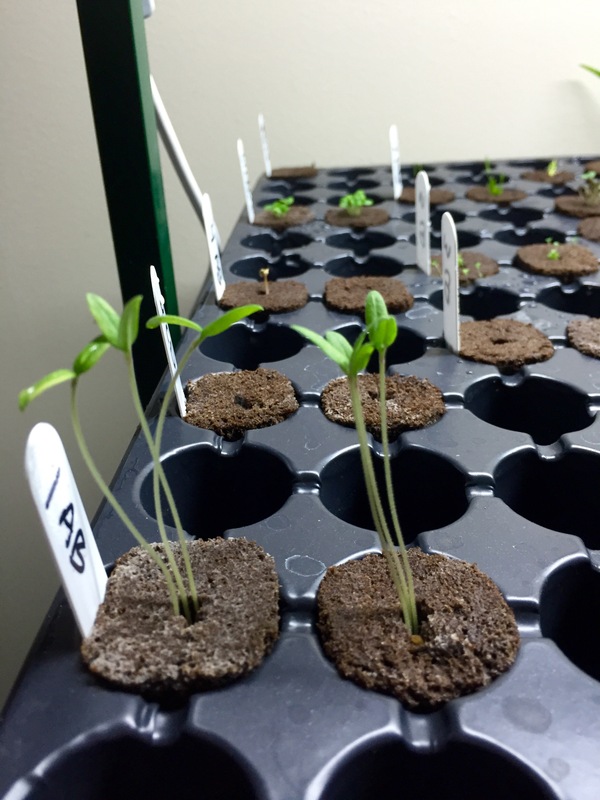 To start the seeds I use a product called Rapid Rooters, which is a peat moss derived product that is perfect for a hydroponic system in place of rock wool. I’ve found these to be much easier to use and have had a lot better results. 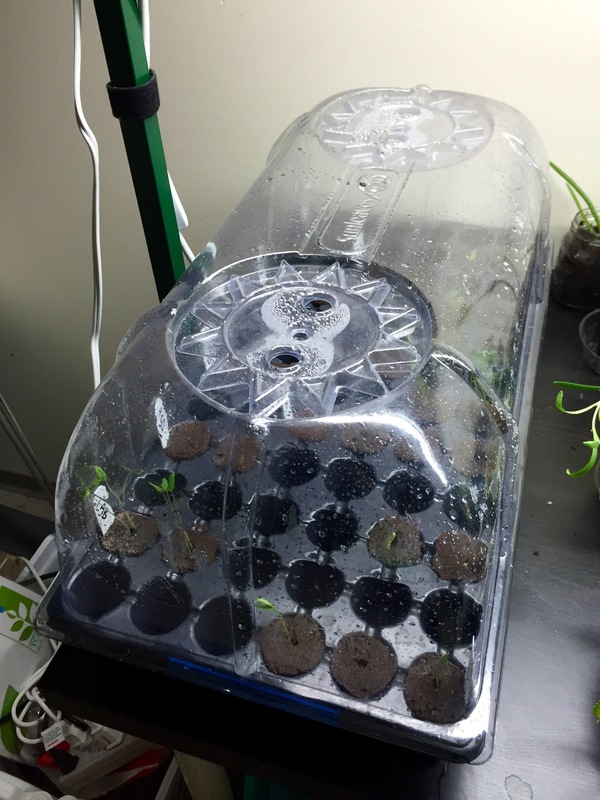 I place anywhere from 1-5 seeds into each plug, depending on the plant, and then place them in a tray with a clear dome over it under my grow light. I also have it on top of a heating pad designed for seed starting. It took me awhile to break down and buy a heating pad but when I finally did I discovered it was definitely worth it. 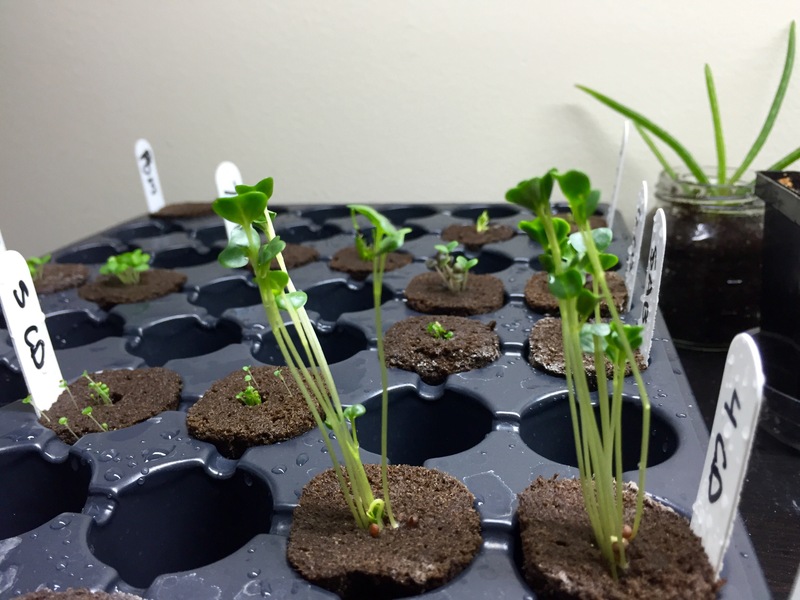 The seeds start a lot faster and seem to do better with it. Incidentally, I also start all the plants I plan to grown in soil using the Rapid Rooters and just plop the whole thing in soil once it’s old enough. It works great! 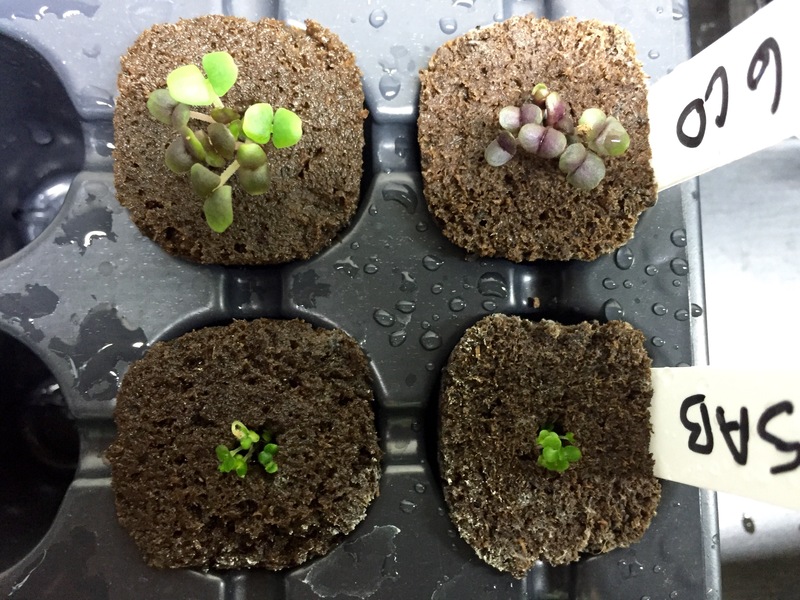 I started the following seeds on August 21, and as you can tell from the photos they’re almost ready to be moved into the tower! The photos below were taken on August 27, as you can see they are doing quite well and most will be ready to move over to the tower in the next week or two. Will post updates later. For now I’m plotting and growing… There are upsides to being an indoor grower!